DataMotion sees the future of data very much like Javlin does – agile solutions at a great price. This is definitely a sought-after combination in Brazil. Javlin announced today that DataMotion Brazil has selected CloverETL for its core data integration software to bring to the Brazilian market. This marks another big move for CloverETL on the worldwide scene, as well as underscores Javlin’s continued investment in its software and services partner program. 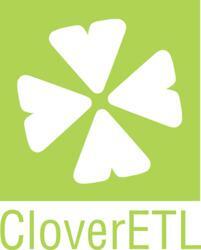 “We chose CloverETL because it is perfect fit for us as we craft solutions in data. Customers now want a combination of best-of-breed ETL to drive and work with other data tools. Clover brings out the best in what we offer, fitting our strategies in address validation, data cleansing, and data profiling. We know what our customers need in Brazil – Clover represents the future architecture of data in many industry areas such as retail, logistics, health, and finance,” said Ricardo Rego, Managing Partner of DataMotion. CloverETL will work as a critical software piece together with DataMotion’s growing suite of data solutions. With Clover’s unique ability to read from just about any source and process data formats ranging from legacy Cobol to unstructured documents, it is part of the solution for the growing data question in the Brazilian market. As business in Brazil propels forward, especially in key verticals as healthcare, retail, and finance, companies are inundated with volume and formats of data. Wanting to harness the business value from these new assets, companies now look to DataMotion with CloverETL for a better solution. DataMotion not only can bring Clover’s custom component to access native API’s and web services, but it will also provide data integration services in collaboration with Javlin. CloverETL is now available for sale in Brazil with DataMotion and also here.